Belmar NJ and its small town charm beckon you to enjoy some family time on the east coast of New Jersey. Why pick a vacation spot with a crowded beach and attractions that are overrun with people? You could instead find the beautiful borough of Belmar, a hidden gem in New Jersey that is all about R&R, the right way. There are many places of interest, so you don’t have to worry about entertainment. 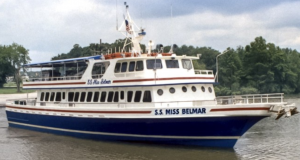 Get ready to visit Belmar NJ and enjoy these great things to do. Miss Belmar Princess is quite the ship, and you can find this beautiful boat on State Route 35. 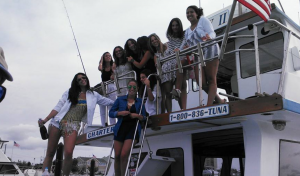 While there are other fishing trips you can book in Belmar, Miss Belmar Princess is currently ranked #1. If you take a look at the ship, that is probably why. Maybe it is time for someone in your family to enjoy his or her first fishing excursion. Enjoy a pleasant afternoon out on the open water, and see who catches the most fish. Sometimes when you are on vacation, you don’t want to do anything but relax. Aside from the Belmar Beach and Boardwalk, one of the best places for relaxation in the borough is @Ease Massage. You will certainly be put at ease as you choose which of the services at this day spa to opt for. You can count on @Ease Massage having the peaceful and relaxing atmosphere that you crave. Would you like to go surfing? How about windsurfing or kite surfing? Venture on over to where Ocean Boulevard intersects with 3rd Avenue, and you will find the surf camp known as Summertime Surf. You can also take on stand up paddle boarding, too, if you have always wanted to give it a try. Summertime Surf features private lessons, so it is all about a fun vacation learning experience and good times. Nick Caruso Enterprises Inc. is another place that offers fishing trips, but they also are the place to visit if you want to go snorkeling or scuba diving. You can pick and choose what you want to do when you discuss your booking options with Nick Caruso Enterprises Inc. One reviewer mentioned that she booked this adventure for a kid’s birthday party, so that clues you into the fact that this is a great spot for family fun. Boathouse Bar & Grill is a popular place to hang out, eat some good food and maybe have some drinks. Are you in the mood to eat a delicious burger at the boathouse? 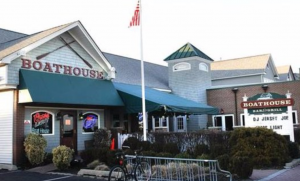 The Boathouse Bar & Grill features a nice location on Main Street, and it is a favorite stop for people on vacation looking for a good bite to eat and some brews. All these entertainment options should keep you busy as you enjoy the scene in Belmar. You have a top place to stop for food, some adventures to take and a nice day spa to enjoy a relaxing massage. It is safe to say that you won’t run out of things to do in Belmar NJ.